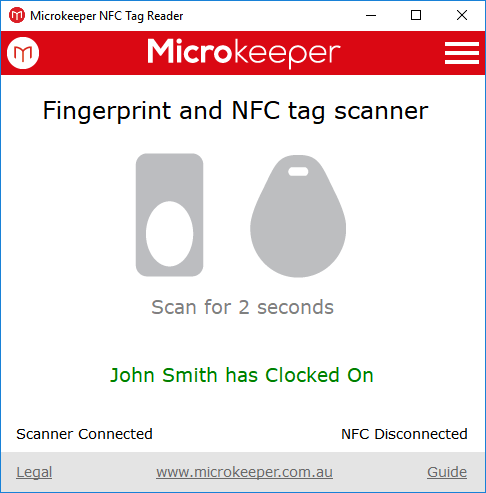 Microkeeper Timesheet Software allows employees to clock their worked hours using Fingerprint or NFC tag technology. 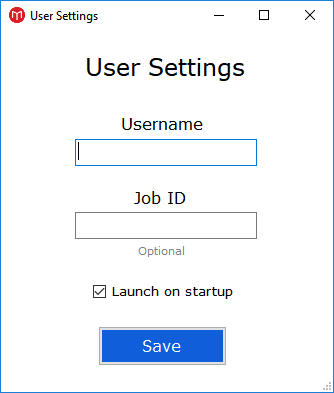 Open the Microkeeper Timesheet software. 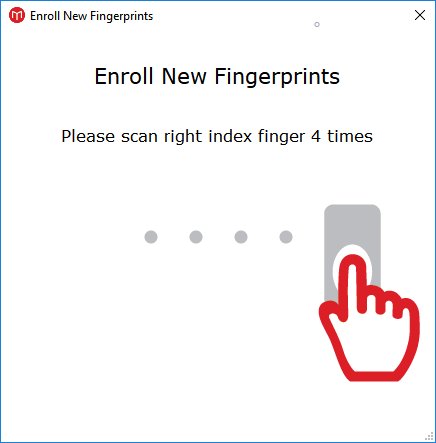 To keep your Fingerprint Scanner working perfectly for years to come, you'll need to perform the proper maintenance procedures. 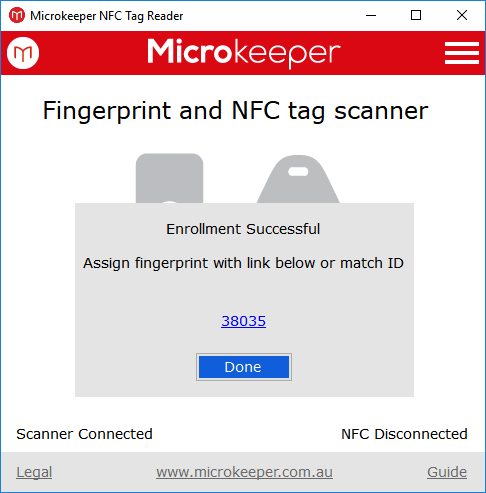 To clean the fingerprint scanner, spray Windex onto a soft cloth and gently wipe the outside casing, and the finger pad with it. Don't spill any liquid on the Fingerprint Scanner, as any water damage will void your warranty.